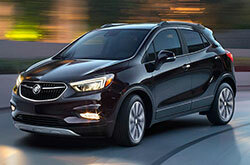 A three-time winner of the Best Luxury Compact SUV/Crossover title in Kelley Blue Book's 5-Year to Own Awards, the Buick Encore is back with exciting updates that every driver in the market for a new luxury vehicle is sure to love. The newly sculpted front end is an eye-catcher, while the recrafted interior and newest connectivity technology will make this elite compact SUV impossible to resist. The opulent exterior of the Encore goes perfectly with the brilliant engineering and safety features tucked away under the hood. 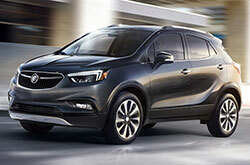 The top-choice Buick Encore continues to dazzle buyers with its shiny facelift. A new front fascia with an updated grille, LED headlights, and 18-inch tires are highly effective in turning heads. Test drive a 2017 Buick Encore in Scottsdale, AZ and enjoy the pure bliss of the quiet drive and ambient interior lighting. Run a hand along the soft leather steering wheel or the flowing, curving dashboard and feel the difference that high-quality, luxury materials make. 2017 Buick Encore reviews note the user-friendliness of the new gauge cluster complete with a 4.2-inch color driver information center. The center stack is home to the premium 8-inch touchscreen programmed with Buick's Intellilink system that has a built in Wi-Fi hotspot, and is Apple CarPlay and Android Auto friendly. The 2017 Buick Encore in the Phoenix area is available in either a standard 1.4-liter turbocharged four-cylinder with 138 horsepower or a more powerful 1.4-liter turbo with direct injection that gets 153 horsepower. The standard engine sees an estimated 33 mpg on the highway, while the direct injection reaches 34 mpg with increased city fuel-efficiency. 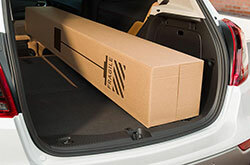 The Encore is available in front-wheel drive or all-wheel drive models. The Encore comes standard with ten airbags and a rearview camera, as well as Stabilitrak stability technology that increases driver control during swerves or loss of traction. 2017 Buick Encore reviews appreciate the availability of a range of add-on safety features, including Side Blind Zone Alert, Forward Collision Alert and Lane Departure Warning. If you want a new car near Phoenix, don't just look at the 2017 Honda HR-V, Mazda CX-3, Jeep Renegade and the Chevrolet Trax; also check out the attractive 2017 Buick Encore. It could be a proper match for you, due to its five-star in-car technologies and exciting personality. Once you've found the information you want for the 2017 Buick Encore, browse our website to find information about great short-term lease incentives from Van Buick GMC. 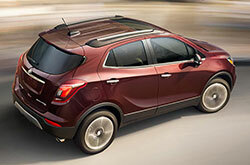 Interested in a Buick Encore and looking for great incentives? Then remember to visit us next time you're nearby! We hope the information in our 2017 Buick Encore review will be invaluable when you make your ultimate purchase decision. 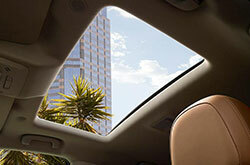 Uncover the stately Buick Encore at Van Buick GMC, where you can love a test drive and explore the model personally. If you can't wait to see it in person, take a glance at its polished design in the included video before you visit.